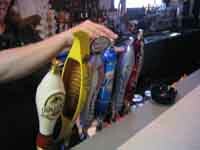 Hawk's Sports Bar & Grill is a true SPORTS bar! Enjoy outdoor volleyball and horseshoes in the summer, either as a participant, or a spectator from our beautiful outdoor deck, complete with a full bar. In the winter months, you can drive your snowmobile right up to our door and park it in our well-lit snowmobile parking area. Catch the NFL Sunday Ticket on our big screen TV! 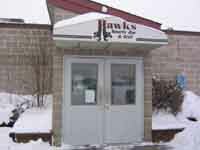 Hawk's offers a casual sports bar atmosphere. 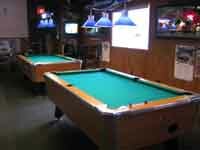 Two pool tables, 3 dart boards and two pull tab booths are available for your entertainment. There is an ATM machine on site for your convenience, and we accept Visa, MC and personal checks.